Ikibu Casino was launched by the same people who created Chance Hill Casino. Both casinos feature a modern theme and innovative gaming solutions. Although Ikibu online casino is not available in certain territories, it’s available in Canada. When you load the online gaming site, you’ll see impressive features such as black, white and blue colors, map graphics, the blue sky, and a flying bird. The casino takes you on a journey across the world as you collect seeds. You know you are safe when playing at Ikibu because the casino has acquired its gambling license from the UK and Malta. 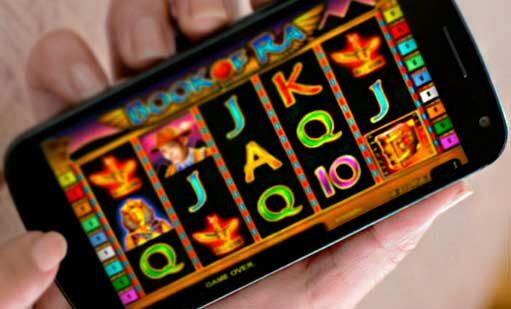 It also operates under the UK Gambling Commission and collaborates with Fast Track Solutions. Players can access the site in several languages including Spanish, English, Swedish, Norwegian, German, Finnish, and French. That’s why this casino has attracted the attention of international players. The available offers include online slots, table games, live dealer games, promotions, free spins, and bonuses. It’s also important to mention that Ikibu is available on desktop platforms and mobile devices. The supported platforms include Android, iPad, iPhone, Kindle, BlackBerry, Windows, and Mac. 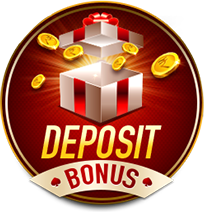 One of the best things about Ikibu Casino is the availability of new types of bonuses and welcome perks. New players enjoy huge welcome bonuses. Your gameplay involves collecting seeds as you move around the globe. Once you collect your seeds, the next step is to visit the casino’s bonus market and trade them for bonuses. Other incredible offers include prizes, loyalty points, and customizable rewards. Players can create their own rewards! Slot games from Microgaming – Immortal Romance, Thunderstuck, Dolphin Quest, Dragon Dance, Cool Wolf, Bust the Bank, Terminator 2, High Society, and Hot as Hades. Slot games from NetEnt – Starburst, Blood Suckers, Gonzo’s Quest, Dracula, South Park, Creature from the Black Lagoon, Scarface, Hall of Gods, The Invisible Man, Big Bang, Twin Spin, Crime Scene, Attraction, Aliens, EggOMatic, Fishy Fortune, Diamond Dogs, Dead or Alive, Jack Hammer, Aloha, Elements, When Pigs Fly, Aloha, Irish luck, Bejeweled 2, Piggy Riches, Wild Turkey, Steam Tower, Zombies, and Trolls. Slots from Play’n GO – Cops and Robbers, Cloud Quest, Wizard of Gems, Golden Goal, Jolly Roger, Book of Dead, Hugo, Irish Gold, Spin Party, Gemix, Cats and Cash, Aztec Idols, Myth, Chinese New Year, Pearls of India, and Crazy Cows. Table Games – European, American and French Roulette, Casino Hold’em, Punto Banco, Hi-Lo, Baccarat, Caribbean Stud Poker, and Casino Switch. Live Games – Blackjack, roulette, and baccarat. Others – Lotteries, video poker, bingo, and keno. Ikubu Casino is an international gaming site, but people from certain territories are not allowed to join the casino. The unlucky group includes players from France, USA, Belgium, Spain, Iraq, South Africa, Turkey, Denmark, Italy, Ireland, Syria, Hong Kong, Nigeria, Bulgaria, Portugal, Estonia, India, Philippines, Yemen, Romania, Israel, Afghanistan, Singapore, and Iran. There’s nothing to worry about if you live in Canada. Fast Track Solutions works with Ikibu Casino to give you the best gaming experience if you need help. The casino’s representatives are available all the time on live chat, telephone, and email. They offer help in various languages to meet the needs of their international customers. The casino’s FAQ section is another useful resource for players. We have concluded that Ikibu is a good online casino because of its wide selection of games, promotions, customized bonuses, and a reliable customer support team. The casino has brought a different kind of gaming experience.